Birch, Oak, Maple, Ash, Aspen, Beech and Sycamore are just some of the species of trees that can be found here and that means that the mix of vibrant colors is tremendous here. 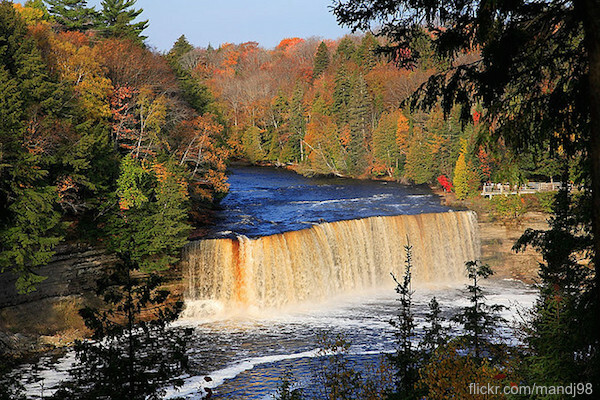 The image above is from Tahquamenon Falls State Park, located near Paradise, Michigan. Plan to visit the Upper Peninsula during the month of October to get the best views. The gorgeous fall colors remain until late in the month.